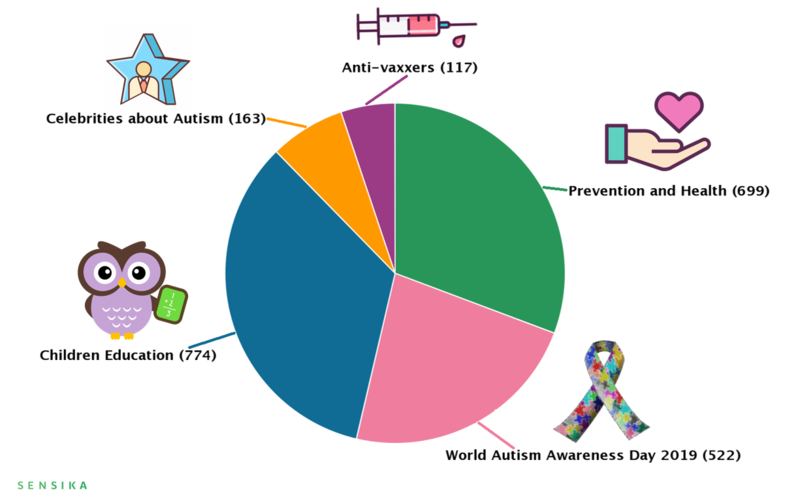 World Autism Awareness Day is an internationally recognized day on 2 April every year, encouraging Member States of the United Nations to take measures to raise awareness about people with Autism Spectrum Disorder (ASD) throughout the world. 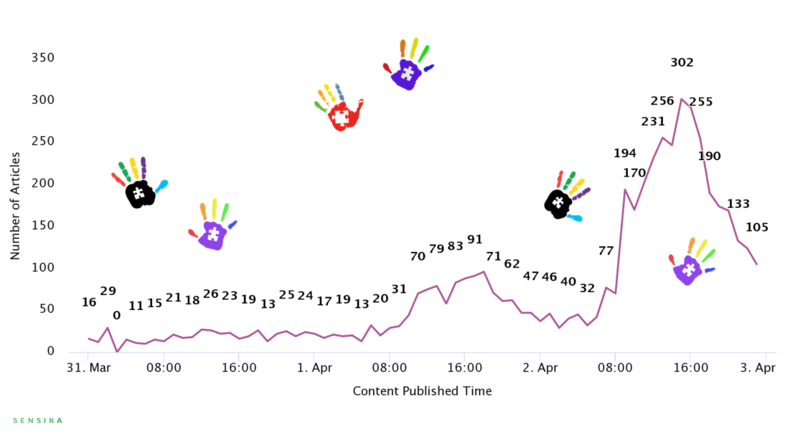 We monitored the online data between 31th of March and 2nd of April about this topic and here are the results. In this chart, you can track the keywords mentions during the monitored period. By the way, this feature will also allow you to compare product launches, or the results of a press release, for example, to see directly how well each product has performed. Do you need to analyse your brand mentions? This chart reveals the origin of the sources that published content, related to the current topic. The share of the languages is interesting. No doubt, the most used language is English – 35, 37%. But it is followed by the content written in Turkish with 14, 93%, Spanish – 12, 47% and Italian. A positive sign, only 7,7% are neutral and 17,47% negative. 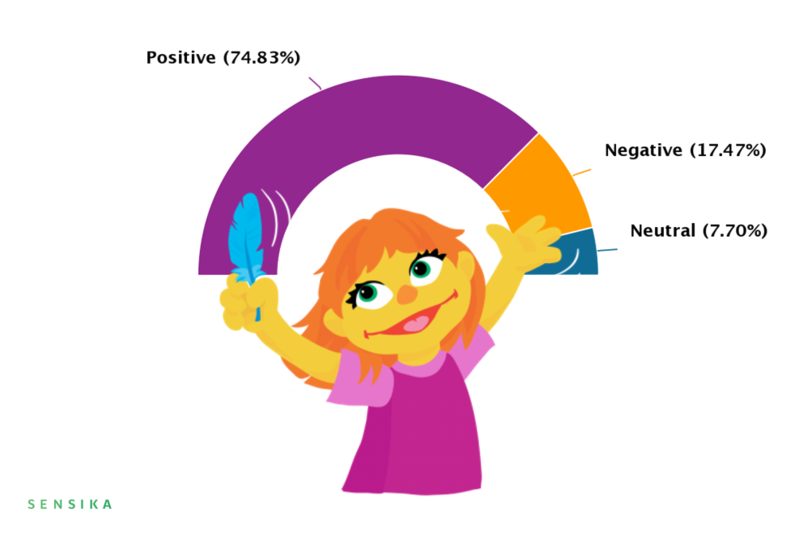 The sentiment analysis is based on algorithms evaluating whether the words included in a post are related to positive, negative or neutral emotions. It also indicates the attitude of the author about the current topic. Unfortunately, it could be subjective, two people may interpret the attitude of the same text differently. We have filtered only English content. 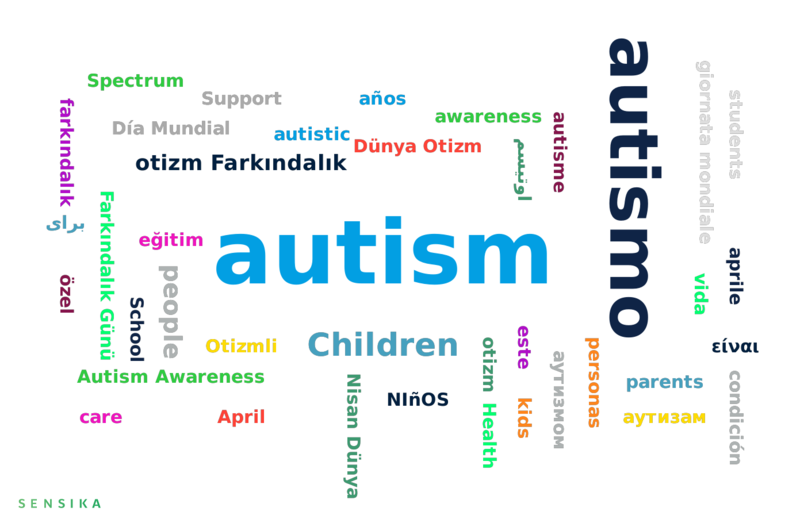 The main topic of our research was “Autism” but we also defined five Sub-Topics. The education programs for kids with autism has been the major among the 5 topics. 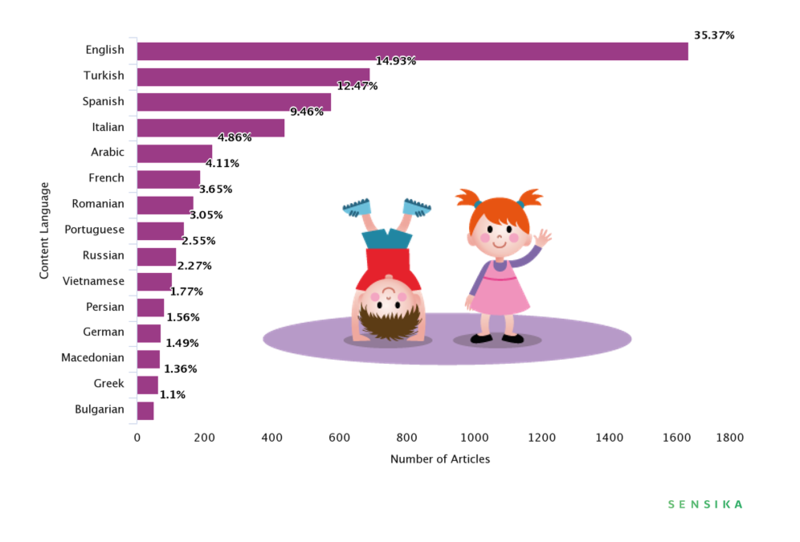 The total number of articles with current keyword mentioned in 2019 is 5 074. Unfortunately, for the same period in 2018, the articles are 5 936. Autism affects an estimated 1 in 59 children in the United States and is characterized by a range of symptoms that can vary widely. An estimated one-third of people with autism are nonverbal. Nearly half of those with autism wander or bolt from safety. Nearly two-thirds of children with autism between the ages of 6 and 15 have been bullied. Nearly 28% of 8-year-olds with ASD have self-injurious behaviours. Headbanging, arm biting and skin scratching are among the most common. Drowning remains a leading cause of death for children with autism and accounts for approximately 90% of deaths associated with wandering or bolting by those age 14 and younger. It’s our social obligation not to turn a blind eye on people with such a condition.